"To me, sounds have always been more interesting than words," says Agnes Obel. "I love it when the voice becomes an instrument and you almost forget it's a human voice." Never is this more apt than on this beautifully programmed and bewitching selection of music. 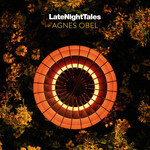 Agnes' 2010 debut album Philharmonics went platinum in France and Belgium and, unsurprisingly, quintuple platinum in her native Denmark, where she also won five Danish Music Awards (equivalent to the Brits) in 2011. The follow-up Aventine, released in late 2013, was imbued with the same measured calmness as her debut. It went platinum in Belgium and gold in Denmark and France. For the mix you have in your hands it feels almost as if Agnes has scoured the world looking for kindred spirits - or kindred songs. There's a quietude about it all, the antithesis of a rush hour, like a frozen lake on a Sunday morning. This is aided by a veritable cornucopia of new Obel material, including a haunting reading of Danish song 'Glemmer Du', Inger Christensen's 'Poem About Death' set to original music, and an Agnes original, 'Bee Dance'. Among them, there's the enigmatic Jamaican singer Nora Dean who weighs in with the hypnotic and slinky Duke Reid production, 'Ay Ay Ay Ay (Angie-Lala)' and the sparse, sardonic 'Party Girl' by Michelle Gurevich, so good it inspired the eponymous French movie. There are the plangent voices, The Bulgarian Folklore Choir, Nina Simone, Ray Davies and Agnes herself, ringing true. Somehow, Ms Obel makes even makes the electronic tracks bow to her needs as with Yello whose 'Great Mission' is more Martin Denny than Underworld and cult Greek composer Lena Platonos' 'Bloody Shadows From A Distance' pulses gently rather than throbs and Can's recently rediscovered 'Obscura Primavera', unusually hushed. "I was surprised at how much time I ended up spending on this. I collected all the songs together with my partner Alex and we just spent time listening to records, trying to see what would fit together. Some of the music I've included here is on mixtapes we made when we were just friends as teenagers. Each one of the tracks produces stories in my head."